Cheryl has more than 10 years of experience helping companies and their employees communicate. Her specialties include managing complex change, planning comprehensive communication programs, supporting leader and manager communication, and weaving stories that make an impact. She’s partnered with global corporations including Avantor, Prudential Financial, BASF and Harman International. Prior to joining Davis & Company, she got her start in corporate communications at York Risk Services Group, a claims adjusting firm based in northern New Jersey. 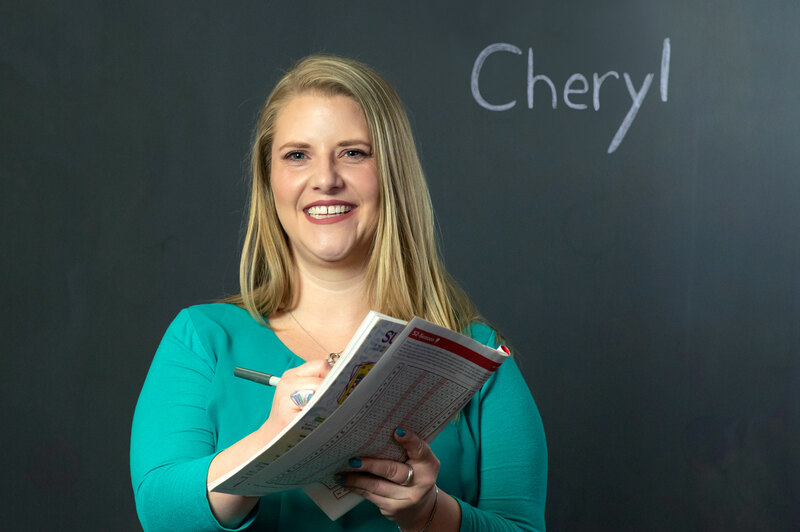 Cheryl holds a bachelor’s degree in journalism and French language from the University of Maryland, College Park. She also holds a citation from the University’s College Park Scholars in the Arts program. Helping a client manage intense employee change after a merger, while simultaneously building its new communication organization, system and plan. No sweat! I like to imagine a specific employee being positively impacted by my advice. That’s what gets me out of bed in the morning (which is hard to do)! Bagging groceries at the family store: Ross’ Foodtown. It’s where I learned to listen to customers’ needs (“Not too heavy!” “Put the fruit at the top!”). Using the power of language to break down barriers. I’m a mediator by heart and I believe that by building peoples’ knowledge we can create harmony. I’d be a reporter for a pop culture magazine like Rolling Stone—it’s what inspired me to study journalism and fall in love with reporting. When I’m stuck I change my environment. I walk away from the blank screen, grab a piece of paper and sit down (or stand up) in a new spot. I’ve even used my white board to get a fresh perspective. I love to lounge on the couch, snuggle with my sweet toy poodle, Ginger, and turn on a dark, twisty who-done-it. I can perform marriages. When my brother and sister-in-law tied the knot they asked me to officiate the ceremony, so I became a minister the old-fashioned way—online. Just call me Reverend Ross. The Goonies. It’s got a treasure hunt, a rag-tag group of endearing teens, and the truffle shuffle. What more could you want? Did I mention it’s set in the 80s? My spirit animal is a colorful Macaw—bright, curious, playful and chatty. Just don’t cage me up; I’ll squawk at you. The Belize Barrier Reef. Go snorkeling in this magical underworld and come face to face with colorful coral, schools of angelfish and maybe even a barracuda.